Mongolia, May 2014 - Representatives of some 30 Mongolian education and training institutions met for a one-day workshop to share information and discuss opportunities for advancing a strategic approach to green development learning in Mongolia. This meeting was held in response to a request by the Government of Mongolia to give particular attention to green awareness-raising and learning in support of Mongolia’s efforts to advance green development. 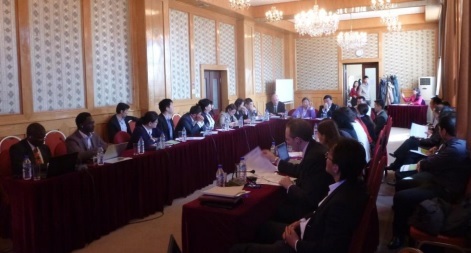 It also provided input into the National 2014 Partnership for Action on Green Economy (PAGE) Implementation Workshop on Mongolia, which followed on 15-16 May. In his opening remarks, Mr. Sh. Purevsuren, Senior Advisor to the Minister of Environment and Green Development and Chair of the meeting, highlighted that the Government of Mongolia places great importance on strengthening green awareness raising, education and training. “Sustainable development is development for all and should reflect the characteristics and local needs. National education and research institutions therefore play a crucial role in overcoming the challenges that Mongolia faces in advancing green development”, Sh. Purevsuren emphasised. Speaking on behalf of the PAGE partners, Nara Luvsan of the United Nations Environment Programme (UNEP) and Moustapha Kamal Gueye from the International Labour Organization (ILO) introduced PAGE. They reconfirmed the commitment of PAGE partners to accompany and support Mongolia in advancing green development through a range of services, from policy analysis and policy reform to policy implementation and related capacity development. Ms. A. Tuya, Head of the Division Basic and Secondary Education at the Ministry of Education and Science, presented national education policies and ongoing green education projects, with a focus on children education in primary and secondary schools. She indicated that the meeting was timely because green education, learning and skills development is becoming increasingly important for the country. In addition, Ms. Tuya pointed out that national education policies can provide a framework for green development education and highlighted the importance of institutional capacity development, such as curriculum change and teachers education. Presentations by six institutions provided a snapshot of ongoing and planned green education activities. The speakers represented the Secretariat of Parliament, the National Development Institute, the Swiss Development Cooperation, the Mongolian National University, UNICEF and Eco Asia University. The presentations highlighted a range of ongoing green learning activities and initiatives, as well as indicated the importance of scaling up green development learning as one of the foundations for green development in Mongolia. Target groups mentioned ranged from decision-makers in government and the private sector, to students in primary, secondary and tertiary institutions. Scale up resources to support green learning from national and international sources. The meeting also endorsed the establishment of a working group/task force to oversee and support the creation of the National Green Development Learning Strategy. This group could include representatives from government, education, training institutions, the private sector, civil society and other interested stakeholders. The Senior Manager of Environment and Green Development at the United Nations Institute for Training and Research (UNITAR), Achim Halpaap, indicated that PAGE can provide seedfunding, as well as methodological and technical support, for the development of the strategy. In addition, selected training and skills development activities are included under the priority work streams in the PAGE workplan. The Partnership for Action on Green Economy (PAGE) is a response to the United Nations Conference on Sustainable Development (Rio+20) outcome document, entitled The Future We Want, which recognizes green economy as a vehicle for sustainable development and poverty eradication. The four founding UN agencies of PAGE – UNEP, ILO, UNITAR and the United Nations Industrial Development Organization (UNIDO) – aims to provide a comprehensive suite of green economy services that will enable countries to transform their national economic structures to meet the growing demands and challenges of the 21st century. More specifically, PAGE will facilitate enabling conditions in participating countries by encouraging a shift in investment and policies towards the creation of a new generation of assets, such as clean technologies, resource efficient infrastructure, well-functioning ecosystems, green skilled labour and good governance. Mongolia was the first country to join PAGE in 2013. Generous support for PAGE activities in 2014 has been provided by the Governments of Finland, Norway, Sweden, and Republic of Korea. The Lima Declaration is outlining the country's plans to promote environmental sustainability, decent jobs, poverty reduction and human well-being. Lima, Peru, April 2014 - Emphasizing the link that will strengthen relations between the Peruvian State, international cooperation agencies , private enterprise and civil society , Environment Minister Manuel Pulgar-Vidal and the Minister of Labour Ana Jara signed the Declaration "Towards a Green Economy with Growth," which formalizes the start of the PAGE initiative in Peru. With the presence of representatives of the International Labour Organization ( ILO), the United Nations Environment Programme ( UNEP), the United Nations Industrial Development Organization (UNIDO ), the United Nations Institute for Training and Research (UNITAR ) and the United Nations Development Programme ( UNDP ), both Ministers stressed the importance of Peru being selected along with 29 other pilot countries to promote the transition to a green economy. The announcement was first made in March at a global Conference on the Partnership for Action on Green Economy (PAGE), which was held in Dubai. "We must recognize that the world, with initiatives such as PAGE, begins to harvest and consolidate a process of more than 40 years, which have generated incremental changes to be able to convince you that it is intrinsic to the development of sustainability resources, " said Minister Pulgar-Vidal. He noted that 25 years ago, the term Sustainable Development was first coined and today it is a concept increasingly rooted in both the public and private sector. In turn, Minister Jara stressed that in the first year of operation, the PAGE initiative will seek to identify gaps and opportunities for learning, and to connect key sectors to the most appropriate partners to show the value ​​of the green economy. "Peru has enjoyed high economic growth, but there are still ecological threats that can reverse these results," she said. To avoid this happening, decent employment and retraining of job skills are needed, she said. In conclusion, the Environment Minister recalled that the UN climate talks, set to take place later this year in Lima, will be a platform to promote this type of discussions. " The climate issue is increasingly present as a result of the financial and economic crisis, which is also ideological . Therefore, PAGE opens the door to debate about what we should consider as green growth, and it is an element of our new vision for development as well, "he concluded. As a designated PAGE country, Peru will be supported through four components: i ) applied research and knowledge creation ; ii ) policy dialogue with government officials and other high-level stakeholders; iii ) capacity building , education and training ; and iv ) advisory services to countries on issues of green economy. Click here to have a look at the photos and the video of the event. Ulaanbaatar, Mongolia, May 2014 - Representatives of some 30 Mongolian education and training institutions met for a one-day workshop to share information and discuss opportunities for advancing a strategic approach to green development learning in Mongolia. This meeting was held in response to a request by the Government of Mongolia to give particular attention to green awareness-raising and learning in support of Mongolia’s efforts to advance green development. It also provided input into the National 2014 Partnership for Action on Green Economy (PAGE) Implementation Workshop on Mongolia, which followed. In his opening remarks, Mr. Sh. Purevsuren, Senior Advisor to the Minister of Environment and Green Development and Chair of the meeting, highlighted that the Government of Mongolia places great importance on strengthening green awareness raising, education and training. “Sustainable development is development for all and should reflect the characteristics and local needs. National education and research institutions therefore play a crucial role in overcoming the challenges that Mongolia faces in advancing green development”, Sh. Purevsuren emphasised. Mauritius, April 2014 - The Government of Mauritius announced its participation in the UN-led Partnership for Action on Green Economy (PAGE) today at a press conference, which also highlighted the work of a green economy fiscal policy assessment underway. Simon Springett, the UN Resident Coordinator and United Nations Development Programme representative presented a letter to Mr Osman Mohamed, the Executive Chairman of the Commission on Maurice Ile Durable (MID), which was signed by UN Under-Secretary General and Executive Director of the United Nations Environment Programme environment for development (UNEP) Achim Steiner on behalf of all the PAGE partners, confirming support for Mauritius under the UN-led initiative. The PAGE programme is a response to the UN Rio+20 Conference’s outcome document, entitled "The Future We Want," which recognizes the green economy as a vehicle for sustainable development and eradication of poverty and calls on the United Nations to assist countries interested in making the transition. By 2020, PAGE plans to support the development and implementation of national green economy strategies in 30 countries, while promoting new jobs and clean technologies and reducing the environmental risks and ecological scarcities. Mauritius is now one of five countries participating in PAGE, along with Burkina Faso, Mongolia, Peru and Senegal. The four founding partners of PAGE -- UNEP, ILO, UNIDO and UNITAR -- offer a comprehensive range of green economy services to enable countries to transform their economic structures and meet the growing challenges of the 21st century. The green economy fiscal policy assessment currently underway in Mauritius is part of a UNEP project, which intends to inform the country’s green economy plans and contribute to its long-term sustainable development objectives. Dubai, 4 March 2014 - United Nations Under-Secretary-General Achim Steiner and United Arab Emirates (UAE) Minister of Environment and Water, Dr Rashid Ahmed Mohammed Bin Fahad, signed a wide-ranging agreement to cooperate on urgent environmental issues. Signed during the first international Partnership for Action on Green Economy (PAGE) conference, held in Dubai, the agreement enhances collaboration between UNEP and a nation that has already shown its commitment to environmental issues. The deal is expected to assist the UAE in implementing its Vision 2021 and Green Growth Strategy. The agreement covers UNEP's priority areas of Climate Change, Disasters and Conflicts, Ecosystem Management, Governance, Harmful Substances and Hazardous Waste, Resource Efficiency and Environment under Review. It also brings in other cross-cutting areas such as environmental education, communication and outreach, the post-2015 sustainable development agenda, and environment and sports. UNEP will, among other actions, provide consultations on the UAE's environmental reports related to the environment, cooperate on capacity building of institutions and local communities, and assist in implementation of collaborative projects and programmes. UNEP's Regional Office for West Asia, headed by Iyad Abumoghli, will manage the cooperation. Mr. Steiner also signed a funding agreement with the Republic of Korea Deputy Minister of Environment, Mr. Lee Jae-Hyun, on behalf of PAGE. The country was one of the first supporters of PAGE, which aims to assist countries interested in transitioning to a green economy. At the conference, donors including Finland, Norway, the Republic of Korea, Sweden and Switzerland pledged over $11 million in support of PAGE activities. The event attracted more than 30 ministers of finance, environment, labour and trade from around the world in addition to high-level UN officials, international experts, representatives from the business community and civil society. PAGE is currently supporting five countries to shift investment and policies towards a new generation of assets that include clean technologies and resource-efficient infrastructure, green jobs and healthy ecosystems. PAGE aims to extend its support to a total of 30 countries by 2020. Dubai, 4-5 March 2014 - Countries that have begun to embrace a green economy approach say that they realize a fundamental change in national planning and investment is required to reach their sustainable development and poverty eradication ambitions. More than 450 participants from 66 countries – including 27 ministers - presented their national perspectives at the first global conference on the Partnership for Action on Green Economy (PAGE), an initiative led by the United Nations to support countries making the transition to an inclusive, low-carbon and resource-efficient economy. Video: Achim Steiner's speech at the conference. Earlier at the conference, it was confirmed that donors had provided more than US $11 million to support country-level action under PAGE, and three new countries – Burkina Faso, Mauritius and Senegal – would join Mongolia and Peru to benefit from the initiative. The Minister of Environment and Water of the United Arab Emirates, Rashid Ahmed Bin Fahad, who hosted the two-day event from 4-5 March 2014, on behalf of His Highness Sheikh Mohammed Bin Rashid Al Maktoum, Vice-President and Prime Minister of the UAE and Ruler of Dubai, noted the enormous challenges and benefits for countries embarking on this pathway. The PAGE initiative was launched last year after the Rio+20 global summit on sustainable development called on the United Nations to support countries in their transition to greener and inclusive economies. The initiative is supported by the Friends of PAGE, a group of countries committed to supporting nations seeking assistance to transform their economies. Some of the other key issues and recommendations identified included: Green industrial policies need to address both the greening of industries and the creation of new green manufacturing and services, and be part of an overall national strategy promoting a transition to a green economy. On trade, evidence was presented that shows greener trade creates decent jobs and resource efficient production methods, increasing competitiveness and creating new trade opportunities, which enhance social development. While the use of certification, sustainability standards and green innovation are all contributing to building a business case for a green economy, participants emphasized that governments transitioning to a green economy needed to consider the impacts of trade has on the country’s natural resources. How to measure a green economy was the focus of another breakout session, and a new working paper published by UNEP, Using Green Economy Indicators for Policymaking, was highlighted. On finance and fiscal policy, participants noted that some critical success factors for governments to promote green private sector investments include establishing clear rules that demonstrate a longterm vision and political commitment, as well as reduce uncertainties and risks for green private sector investments. For example, South Africa is one of the countries that is identifying incentives for investors. The Partnership for Action on Green Economy, or PAGE, is a direct response to the call made in paragraph 66 of the Rio+20 Outcome document for cooperation within the UN system to assist countries in their transitions to a green economy. On behalf of the United Nations PAGE partners, I would like to first express my deep appreciation to the Government of the United Arab Emirates - and especially to His Highness Sheikh Mohammad Bin Rashid Al Maktoum and Minister Rashid Ahmed Bin Fahad - for graciously hosting the inaugural PAGE conference; allowing countries to exchange experiences and create opportunities for a more prosperous and sustainable world. Almost two years ago, at Rio+20, more than 190 nations gave the green light to an inclusive Green Economy in the context of sustainable development and poverty eradication. The Partnership for Action on Green Economy, or PAGE, is a direct response to the call made in paragraph 66 of the Rio+20 Outcome document for cooperation within the UN system to assist countries in their transitions to a green economy. It is an inter-agency initiative founded by the United Nations Environment Programme (UNEP), the International Labour Organization (ILO), the United Nations Industrial Development Organization (UNIDO) and the United Nations Institute for Training and Research (UNITAR). More UN agencies continue to support this effort, and we hope to soon announce the UN Development Programme (UNDP) as a fifth partner. By taking a country by country approach, PAGE will catalyze up to 30 national economies between now and 2020, and thus contribute to the global transition to a sustainable future for all. The Partnership has the potential to help countries improve human well-being and social equity, while significantly reducing environmental risks and ecological scarcities in line with their own national development priorities. In this context, I would like to salute the efforts of the donor community - Finland, Norway, the Republic of Korea, Sweden and Switzerland - who collectively managed to raise well over US $11 million in support of PAGE activities at the national level. Today, countries such as Burkina Faso, Peru, Mauritius, Mongolia, and Senegal are set to boost their economies through a shift of investment and policies towards a new generation of assets that include clean technologies and resource efficient infrastructure, green skilled labour, well-functioning ecosystems, and good governance. Such a transformation will pay significant dividends in social, environmental and economic terms. In the wake of the global financial crisis, it has become increasingly evident that generating growth and prosperity can and must be achieved within the ecological boundaries of a resource-constrained world. Lifting the world's 1.2 billion poorest to a life of dignity will require financing, innovation, technology transfer and capacity building, along with effective governance and mutually beneficial partnerships at all levels. UNEP research suggests that an investment scenario of allocating 2 per cent of global GDP to greening economic sectors will produce a higher global GDP within 10 years, compared to a business-as-usual scenario. A package of green investments - coupled with policy reforms that are aimed at making growth socially inclusive - offers economically viable options to reduce poverty and hunger, and address challenges of climate change and degradation of natural resources, while simultaneously providing new and sustainable pathways to economic development and prosperity. The share of the poor in global GDP is marginal and is reduced with the erosion of natural capital. The share of the bottom 40 per cent of the population in global wealth remains less than 5 per cent. It is this segment of humanity which overwhelmingly lives on small farms, coastal areas and around forests, and depends on natural capital for their livelihoods, nutrition, health, employment, income, wealth creation opportunities as well as a safety net. Degradation of natural resources creates a poverty trap, which leads to a reinforcing loop of further degradation and worsening poverty. Natural capital is essential for sustainable economic development and accounts for a quarter of wealth created in low income countries. Any reduction in natural capital stocks negatively affects the well-being of the poor disproportionately and leads to growing inequalities. The dominant consumption pattern of affluent societies is a major stress on natural resources. According to a report by the International Resource Panel, total resource use grew eight-fold, from 6 billion tonnes in 1900 to 49 billion tonnes in 2000. By 2050, humanity could devour an estimated 140 billion tonnes of minerals, ores, fossil fuels and biomass per year - three times its current appetite - unless economic growth is "decoupled" from natural resources consumption. The World Economic Forum estimates that an investment in infrastructure of approximately US$6 trillion annually is needed over the next 16 years to deliver a low-carbon economy. Of this, nearly US$1 trillion is over and above the business-as-usual trajectory. Weeks ago, UNEP launched an Inquiry into policy options for guiding the global financial system to invest in the transition to a green economy. The inquiry aims to engage, inform and guide policy makers, financial market actors and other stakeholders concerned with the health of the financial system and its potential for shaping the future economy. Ultimately, it will lay out a series of options for advancing a sustainable financial system. While much of the world's private capital is locked up in carbon-intensive investment across the developed world, developing country investment in a low carbon future is on the rise. Clean energy investment originating from non-OECD countries soared from US $4.9 billion in 2004 to US $72.6 billion last year, peaking at US $257 billion in 2011. Fiscal policies are of particular importance in a green economy transition and governments have a variety of fiscal instruments at their disposal: taxing fossil fuel use or emissions in different sectors, reforming energy subsidies that promote wasteful and environmentally harmful economic activity, and supporting clean technology and sustainable production with the help of fiscal incentives. . In the United States, for instance, it is estimated that a levy of US $25 per ton of CO2 could bring in about one percent of the country's GDP, or more than US $ 1trillion over a decade. In 2010, Vietnam passed its first law on environmental taxation and it is expected to generate between US $757 million and US $3 billion. Confronted by a fiscally constrained world, fiscal policy reforms might appear to be a daunting challenge to a green economy transition. Yet, it has been observed in the past that external crises - be they fiscal, economic or environmental - may speed up policy reform. But in order to promote green and more inclusive growth, the design of fiscal policies should consider potential social impact on low income households. Strengthening social safety nets when applying fiscal policy reforms would not only increase social and political acceptability of fiscal reforms but could also contribute to an equitable and fair transition to a green economy. Globally, the cost of energy subsidization is high and accounts for a significant part of GDP annually. Petroleum subsidies alone, for instance, amounted to US $200 billion in 2011. It is estimated that removing US $500 billion of fossil fuel subsidies could boost the global economy by around 0.3 per cent. In addition to the potential fiscal benefits, the removal of fossil fuel subsidies in developing and emerging economies could reduce global GHG emissions by 6 per cent in 2050. When considering that out of the US $409 billion spent on fossil-fuel consumption subsidies in 2010, only US $35 billion, or 8 per cent, reached the poorest income quintile (the bottom 20 per cent), energy subsidies appear to perform poorly as a means of supporting the incomes of poor social groups. Environmental taxes are an effective and, if appropriately designed, efficient tool for environmental policy. They can also be leveraged to generate private financing. Evidence shows that fiscal instruments have helped increase green investment. Carbon taxes could direct investment towards cleaner technologies and encourage energy efficiency. The Rio+20 conference identified international trade as an engine for development, sustained economic growth and the transition to a greener economy. Many developing countries are well positioned to gain from mainstreaming sustainability considerations in their trade-driven growth strategies, including through the export of certified commodities in the fisheries, forests or agriculture sectors, increased investments in sustainable production and supply chains, or the expansion of eco-tourism. For example, the Bio-trade sector in Peru has grown by 20 per cent in the last five years - generating significant revenue and promoting sustainable development, while simultaneously supporting pro-poor development. The Green Economy transition opens up new opportunities for regional and global trade. For example, the global market in low-carbon and energy efficient technologies is projected to nearly triple to US $2.2 trillion by 2020. UNEP is working with partners to provide demand-driven policy advice, technical assistance and capacity-building to countries who wish to use international trade as an engine for a green economy transition. South-South Cooperation can deliver environmental capacity building and technology support to developing countries and regions in the South that wish to make a transition to a green economy. Drawing on shared economic, environmental and social aspirations, South-South Cooperation helps identify solutions to today's sustainable development challenges, as well as deliver new ideas and resources to advance the global transformation to an inclusive green economy. In Tunisia, an innovative financial mechanism has provided incentives for households to switch to solar-powered water heaters. In Kenya the government's attractive feed-in tariffs have encouraged key industries to become more energy efficient, while delivering energy to rural communities. Africa's largest Geothermal Power Station, Olkaria generates over 150 Megawatts (MW) into the national grid, with Kenya aiming for 1200 MW by 2018. The United Arab Emirates' Blue Carbon Demonstration Project connects the local natural coastal ecosystem management with climate change mitigation as part of a global effort to determine the role of coastal habitats in climate change mitigation. In Senegal, investment in clean energy will increase the use of renewable sources for power generation by 30 per cent in the next 20 years and create between 7000 to 30,000 green jobs in the construction and renewable energy sectors. In Ghana, organic farming could yield a 30 per cent increase in jobs per hectare. Policies and strategies are being developed towards that end. At the same time, conservation agriculture is helping reduce land disturbance and deforestation, which would lead to emissions reduction. In 2012, the African Development Bank raised US $2.2 billion to address climate change, a 50 per cent increase to the previous year. More than 90 per cent of the approved projects were green. The Bank's inaugural "green bond" raised US $550 million in global investment within 24 hours. In 2008, British Columbia adopted a carbon tax covering all fossil fuels (including gasoline, diesel, propane, natural gas and coal. Since the tax was introduced, fossil fuel consumption per capita declined by 17.4% between the 2007-2008 base year and 2011/2012 and British Columbia now has the lowest per capita fuel use of any province in Canada. Moreover, the carbon tax was designed to be revenue neutral - revenue generated from the tax has been used to reduce income taxes and to offer tax credits to the poor. In fact, the government of British Columbia was able to provide $500 million more in income tax cuts than it collected in carbon tax to date. Around the world, we are seeing a multiplicity of approaches and pathways to design and build greener economies. To support such efforts, we need to remove barriers and to enable poor and vulnerable groups to participate in, contribute to and benefit from the transition. For a credible and systematic transformation to take place, supportive policies, institutional and governance reforms and targeted investment at the local, national and global levels need to be put in place and scaled up as part of national development planning, based on national priorities. The first ever UN Environment Assembly (UNEA) will take place in Nairobi this June as the highest level global platform for policy making feeding directly into the UN General Assembly, with a focus on the Sustainable Development Goals and the Post-2015 Development Agenda, including sustainable production and consumption. I would like to invite you to engage with UNEA and use the platform to further action on the Green Economy. With civil society, policy makers, government and the business sector under one roof, there is no better forum to build on the momentum created by the Dubai inaugural PAGE conference. Once again, I thank the Government of the UAE for hosting this important event at this critical moment in time. I would also like to seize the opportunity to congratulate the UAE for its efforts to implement the UAE's Vision 2021 and the Green Growth Strategy, which it launched two years ago following the Rio+20 conference. This first PAGE conference is a timely event and one that I hope will foster greater understanding and cooperation, expand the PAGE partnership and set a Green Economy pathway towards sustainable development and poverty alleviation. UAE, 1 November 2014 - To show its commitment to facilitating a global transformation to a green economy, the United Arab Emirates (UAE) announced this week that it will host the first global conference on the UN Partnership for Action on Green Economy (PAGE) from 4-5 March 2014. The UAE extended this offer at the Partnership Forum on PAGE as part of the South-South Development Expo, being hosted by United Nations Environment Programme (UNEP) this week. Panellists included officials from PAGE participating countries, Mongolia, Peru and the UAE, as well as representatives from the founding organizations: UNEP, ILO, UNIDO and UNITAR. The inaugural PAGE conference, under the patronage of H.H. Sheikh Mohammad Bin Rashid Al Maktoum, Vice President and Prime Minister of the UAE, ruler of Dubai, demonstrates the UAE’s commitment to support and promote the adoption of the Green Economy at the international level. 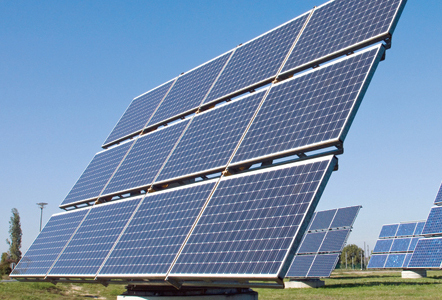 At the national level, the UAE Government is also advancing its green economy plans through its Ministry of Environment and Water, which is developing a road map and policy recommendations for the UAE Green Growth Strategy announced on January 2012 under the slogan “Green Economy for Sustainable Development”. In addition, the UAE, in close collaboration with the PAGE partners, will invite high-level government representatives and policymakers to take part in the meeting, and has generously offered to fund up to 100 participants from low-income countries. As evidence has increasingly shown, transitioning to a green economy is at the heart of job creation, cleaner production, capacity building and natural resource management ? all of which are essential components for building a more sustainable future. 13 february 2014 - A new partnership launched today by four UN agencies aims to support 30 countries over the next seven years in building national green economy strategies that will generate new jobs and skills, promote clean technologies, and reduce environmental risks and poverty. The new Partnership for Action on Green Economy, or PAGE, is a response to theoutcomedocument of the United Nations Conference on Sustainable Development (Rio+20), entitledThe Future We Want, which recognizes the green economy as a vehicle for sustainable development and poverty eradication. Governments at Rio+20 called on UN agencies to support countries interested in accelerating their transition to an inclusive green economy in the context of sustainable development and poverty eradication. The four UN agencies – the United Nations Environment Programme (UNEP), the International Labour Organization (ILO), the United Nations Industrial Development Organization (UNIDO) and the United Nations Institute for Training and Research (UNITAR) – will provide a comprehensive suite of green economy services that will enable countries to transform their national economic structures to meet the growing demands and challenges of the 21st century. From Barbados to Mexico and Nepal to South Africa, many countries are already advancing green initiatives that will contribute to a more equitable and sustainable future. Germany, Kenya and the Republic of Korea, among other states, have set out radical changes in their energy policies to harness the power of renewables, and reinvest in their natural capital. Lebanon and Madagascar are working to rebuild their agro-industries, while other countries – like Peru and Senegal – are focused on developing more capacity and green jobs. More specifically, PAGE will build enabling conditions in participating countries by shifting investment and policies towards the creation of a new generation of assets, such as clean technologies, resource efficient infrastructure, well-functioning ecosystems, green skilled labour and good governance. “ILO estimates that at least half of the global workforce – or 1.5 billion people – could be affected in some way by the transition to a green economy,” said ILO Director-General Guy Ryder. “PAGE aims to embed the right policies and opportunities at the national level as countries move forward with their inclusive green economy plans, and thus ensure this transition creates more and better jobs and benefits all of society”. The four agencies have previously undertaken joint green initiatives. However, this is the first time that all four partners have come together to coordinate their support, expertise and resources at the national level. During the first two years of the partnership, PAGE will focus on seven pilot countries, yet to be named, and scale up this support to a total of 30 countries by 2020. September 2013 - The new UN partnership, PAGE, which aims to assist countries interested in accelerating their green economy strategies recently held a special event at the UN Headquarters to share the latest plans and national developments. More than 60 delegates attended the event, with explored “Rio+20: From Outcome to Action – Partnering for Action on Green Economy”. UNEP Director Elliot Harris joined representatives from the International Labour Organization (ILO), United Nations Industrial Development Organization UNIDO) and the United Nations Institute and Research (UNITAR), which are the four founding UN agencies of the Partnership for Action on Green Economy or PAGE. Presentations from all four partners focused on the value-added from each agency, with UNEP noting the Rio+20 outcome and the need to “deliver as One UN”. ILO highlighted unsustainable pathways and the provision of assessment tools, while UNIDO examined sustainable industrial development, the greening of industry and the work with UNEP on cleaner production and resource efficiency. Also, UNITAR presented their e-learning and other capacity building programmes, which will contribute to PAGE. The Rio+20 Declaration – The Future We Want – recognized a green economy as a vehicle for achieving sustainable development and poverty eradication. It called on the United Nations to support interested countries in creating/promoting/developing greener and more inclusive economies. In response to this call for action, UNEP, ILO, UNIDO and UNITAR initiated PAGE as a voluntary and demand-driven mechanism of support to meet the increasing requests from countries seeking to develop and implement inclusive green economy strategies. By harnessing the expertise and resources of the different UN agencies and their partners, PAGE intends to be a conduit for a full range of customized support services -- from social mobilization and capacity development to economic assessment, investment and policy formulation, as well as creating and sharing knowledge.